Prior to the World Extreme Medicine Conference in Boston we ran, with the very generous assistance of numerous Boston emergency services organisations an amazingly worthwhile pre conference workshop concentrating on the learnings from dealing with mass casualties. Pre-Trauma Disaster Simulation Workshop from Gloria Tokics on Vimeo. Coming to Harvard Medical School Conference Center this weekend – don’t miss out! 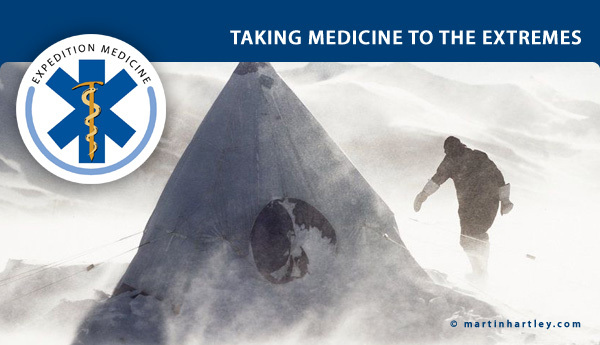 EXTREME MEDICINE 2013 – GET YOUR TICKETS HERE…. Coming to Harvard Medical School Conference Center this weekend – don't miss out! The awards will be presented at the World Extreme Conference on October 28th 2013 at the Joseph B. Martin Conference Center. It gives us great please to announce the winners of the EWM Awards for Excellence in Remote Medicine; the winners are…. (drumroll please)…. This award is presented to the company or organisation that has made an exceptional impact on extreme medicine: one that has strived to excel and has set new standards in their fields of expertise, whether it is in research, product or leadership. This award recognises outstanding healthcare professionals who have made a significant contribution to the specialised area of extreme medicine. These contributions, whether they have been in research, leadership, innovation or mentorship, must have had a lasting impact in extreme medicine and nominees must have demonstrated a lifetime commitment to developing this specialised industry. Product of the Year. A new catagory for 2013. A single product which exemplory in its design and usage. (embedded with the U.S. Marines 2003) Z-Medica website. ‘For the first time in history, we’ve put the ability to quickly stop bleeding from superficial wounds, minor cuts and abrasions into the hands of anyone who can tear open a package and follow a few simple directions. In addition to products for emergency response, we continue to innovate and deliver life saving products – for the soldier, fireman, first responder, law enforcement officer and surgeon. When blood loss is the concern, QuikClot® is the answer’.Z-Medica website. The EWM awards are geared to keep all of us in the industry motivated and are dedicated to everyone involved in extreme medicine, no matter how great or small their involvement. 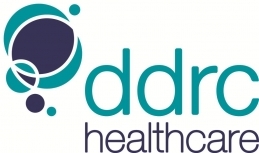 The awards recognise the achievements of some of the most inspiring personalities and companies that are associated in one form or another in the growth of the Remote Medicine industry. Dr Ricky Kue, veteran of the Boston Bombings medical team, joins the Extreme Medicine speaker line up, Group Discount Codes now available . Dr Sally Simmons of the Diving Diseases Research Centre (DDRC) medic joins us on the Madlvies Dive Medicine course. Sally is the Physician Courses Manager for the Diving Diseases Research Centre (DDRC) and organises and is part of the faculty teaching diving doctors internationally. Currently running and teaching an Intro to Hyperbaric Medicine (accredited by UHMS), a DMAC accredited Level I (Fitness to Dive), Level IIa (Dive Accident Management/Competence in Diving Medicine) and an AMED refresher course. Last few places left! Sign up now! The speaker list just gets better and better! Dr Ricky Kue is going to be lecturing on 10/28 on Traumatic Amputations. He is a leader in EMS and was an integral part of the April 15 Boston Marathon Bombing response. We are excited to have him aboard. 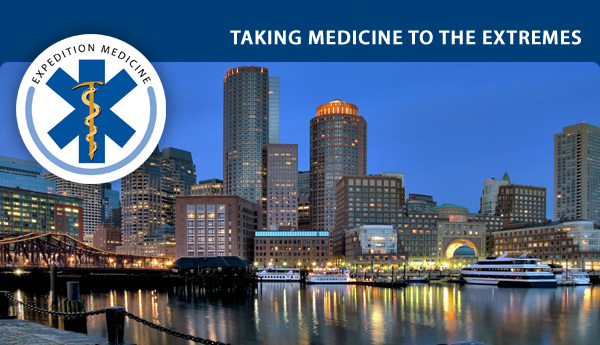 Read more… Dr. Ricky Kue is currently an Associate Medical Director for Boston EMS, Police and Fire Departments and Assistant Professor of Emergency Medicine at the Boston University School of Medicine. Dr. Kue is a regular instructor of disaster response topics with the DelValle Institute for Emergency Preparedness including EMS mass casualty incident and CBRNE response. He has been involved in providing medical support during various mass gathering events such as the Boston Marathon, the Boston 4th of July Fireworks and the Baltimore City Marathon. Dr Karina Oliani is the president of the Brazilian Wilderness Medical Society called Medicina da Aventura. The main goal of Medicina Aventura is to teach and spread the concept of expedition and remote medicine throughout Brazil and at the primary Brazilian universities. She currently works in the ER at one of the busiest hospitals in São Paulo, Albert Sabin. She graduated from Fundação Medicina do ABC in 2007 and has a Masters in Nutrology. Karina finished her Fellowship with the Wilderness Medical Society on January 19, 2011. Karina is extensively involved in her Extreme Sports Series and Expedition Documentaries for the most viewed TV Channel in Brazil: Rede Globo/ Globosat. A bit more info… Traveling aboard the new National Geographic Orion , encounter spectacular volcanic landscapes in Bora Bora and uplifted atolls of Makatea and Henderson Island. End the voyage among the evocative statues of Easter Island. Medical element to be led by Dr Luanne Freer, founder of Everest ER.